The Built Environment Group examine all major applications for sites in Harpenden (town and rural parish) every week and where necessary makes recommendations to the planning authority at St Albans. It is a part of the Society’s service to the community which we believe is much valued. In addition to examination of the weekly plans lists, we welcome comments from members who may have an interest in a particular proposal. We will consider such comments and views when formulating our own response to a particular application. Membership of the group is open to members of the Society. It is obviously desirable that anyone joining the Group should have an interest in architecture and the built environment, but that interest can be entirely amateur. The Built Environment group is established to ensure that development plans meet the objectives of the Society. The local agreed planning policy guidance document forms the basis for much of our work. 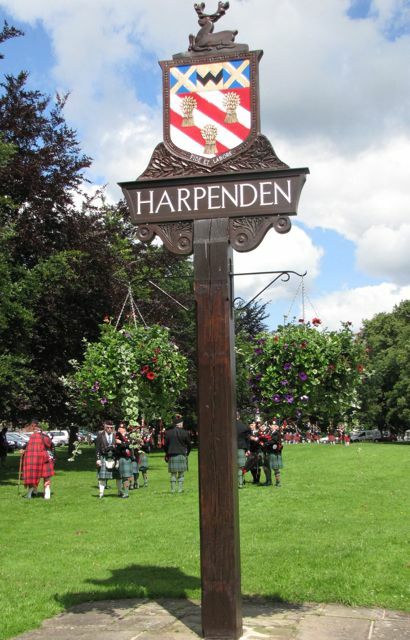 The Group are concerned about the growth of Harpenden. We look very carefully at plans to demolish existing properties and to build one or more as replacements. In-filling is generally opposed, as are significant extensions to existing buildings, particularly if they are not in keeping with the scale and style of neighbouring properties. For more information about the Built Environment Group contact the group convenors, Mike and Pauline Waddilove. It has been a busy year monitoring planning applications, where necessary attending meetings and exhibitions related to local development proposals. In instances where it was thought appropriate by the committee, the Society has submitted comments, sometimes favourable and sometimes critical. Those observations, with accompanying recommendations where relevant, necessarily carry more weight than would be given to those from individual residents. Most importantly, during 2016, we have made detailed comments on St Albans District Council’s Strategic Local Plan (SLP) and its associated District Local Plan, with attendance at the SLP Inquiry. Two major developments in the last year - Park House, on the former James Marshall House site adjoining Rothamsted Park, and at the Harpenden House Hotel (below)location - have, from the earliest stages, been subjects of Harpenden Society comment submissions. These were followed by significant amendments to the original plans, in both cases easing the visual impact of the proposed buildings. The Society’s more general concerns about planning applications remain the over-development of sites in the town, particularly the demolition of perfectly sound houses which are replaced by seven- or eight-bedroom ‘mansions’, that are then typically occupied by just two or three people. Equally undesirable are those instances of several buildings being crammed into a small plot, despite the loss of amenity suffered by neighbours. The Society has been asked to support objections by neighbours in some cases. The seemingly endless proliferation of restaurants opening in Harpenden, often at the cost of small retailers closing down, is another area of concern. Likewise the change of use of public houses to residential. The loss of the Three Horseshoes in its delightfully rural setting at East Common and of the former Harrow pub (latterly Charlie’s - above) at Kinsbourne Green to residential are particularly regrettable. In the latter case the site lies across the county boundary in Bedfordshire, so local Harpenden planning requirements could, for the developers, be conveniently disregarded.